Hi there!! This is not exactly a home tour but a garden tour with a twist!! 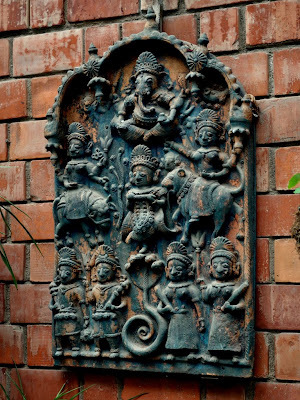 I am not featuring the usual plants and flowers here:-) This gorgeous array of terracotta figures and murals are from my aunt's garden in India. My aunt, uncle and my cousin live in a two story house in a suburb of Delhi. Most of these pieces have been made by a potter she patronised for many years. 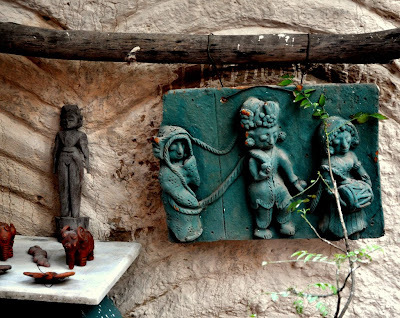 My aunt ran a little boutique business of terracotta figurines and lamps for many years. Now the shop is no more, but her home and garden is a testament to her creativity and talent. 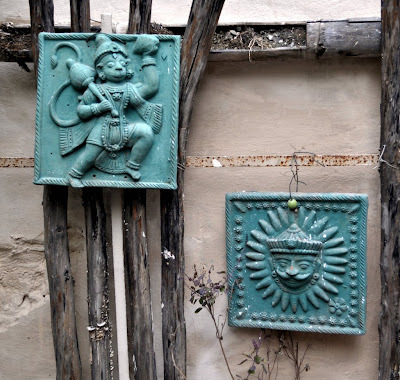 Definitely not your run-of-the-mill terracotta! Love the aqua color- the second one is my favorite. 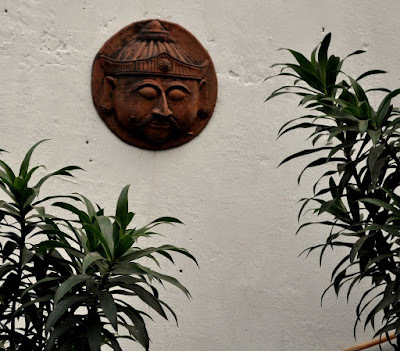 Oh my gosh Anu, I would kill to have these in my garden. tell your aunt they are gorgeous! My fav- pic 4! Lovely---I like the ones in blue---so unusual. You say she closed shop? That's too bad---her talent will surely be missed! 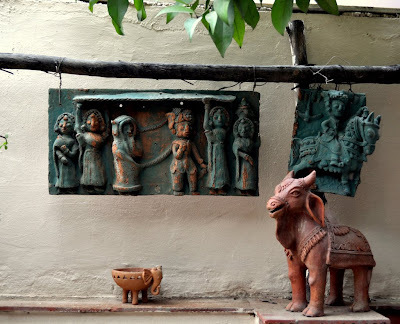 This is such a unique collection of terracota pottery, love each and evryone of them, it surely adds a charecter to the garden.Anu your aunt is very talented, it's sad to hear that the shop is no more!!! These are quite unusual. You usually get to see the lone terracotta horse sitting in a garden. Love the blue ones! 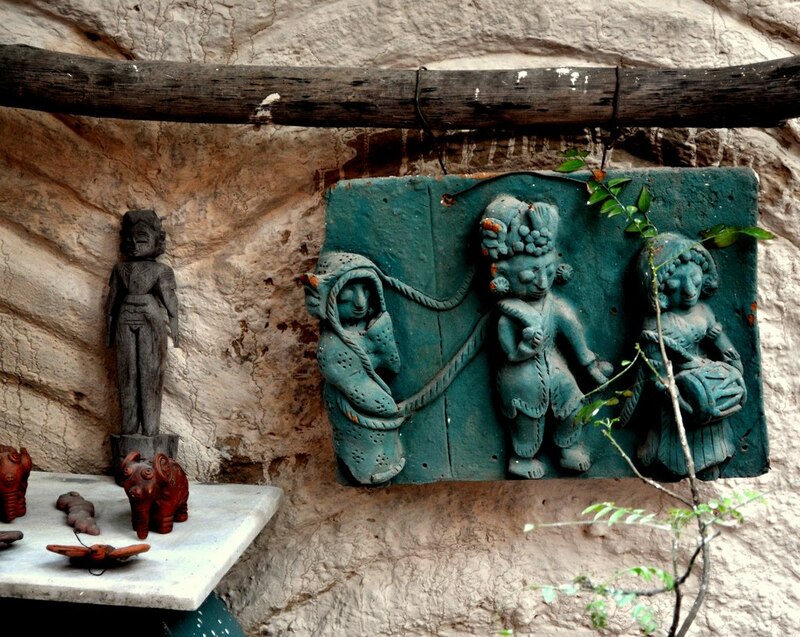 I love the idea of terracotta painted turquoise. It really stands out among the brick and other natural colours. Lovely garden. Compliments to your aunt! 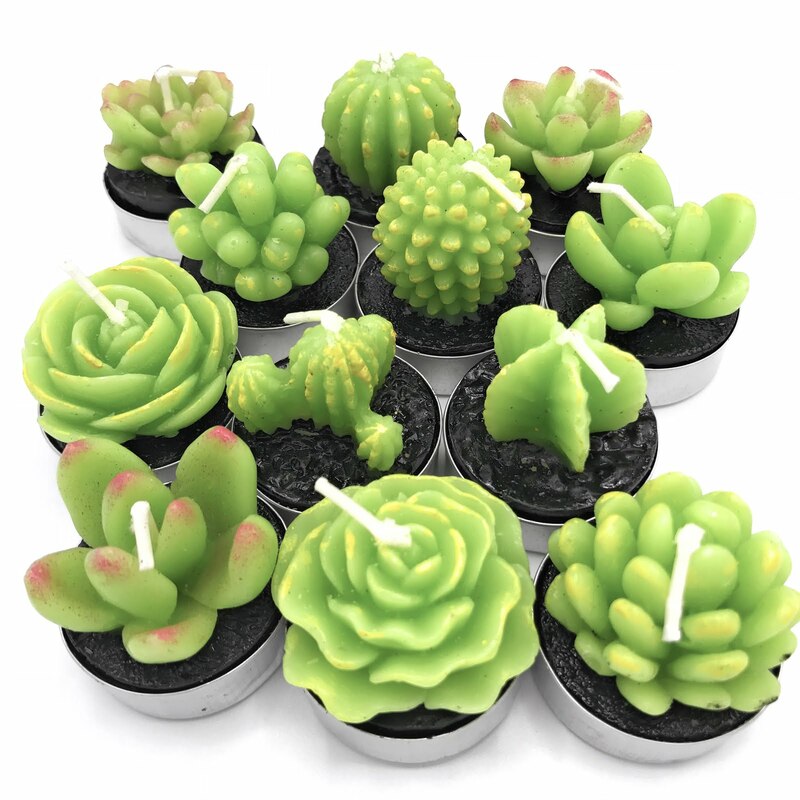 oh so cute.lovely garden decor. gorgeous garden. 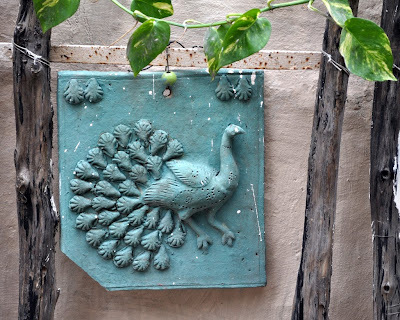 Ladies if you want aqua/green terracotta i know a lady who does it at delhi..hv picked several animal shaped planters & wall pieces in the past..she is fab. Let me know if someone wants her deets. Anu: The terracotta pieces are gorgeous. Can you mail me the images. I would love to have some of them made. 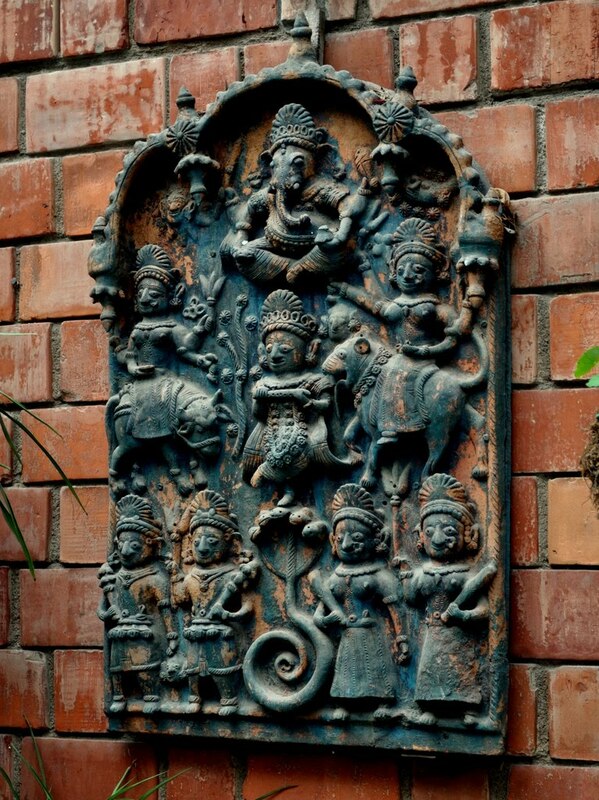 I have a whole load of them as Ganeshas. I also have the little elephant cup from the last image in Dhokra. Will send you a picture of it. And if your Aunt ever decides to part with them tell her I am no.1 on her list. ANu... 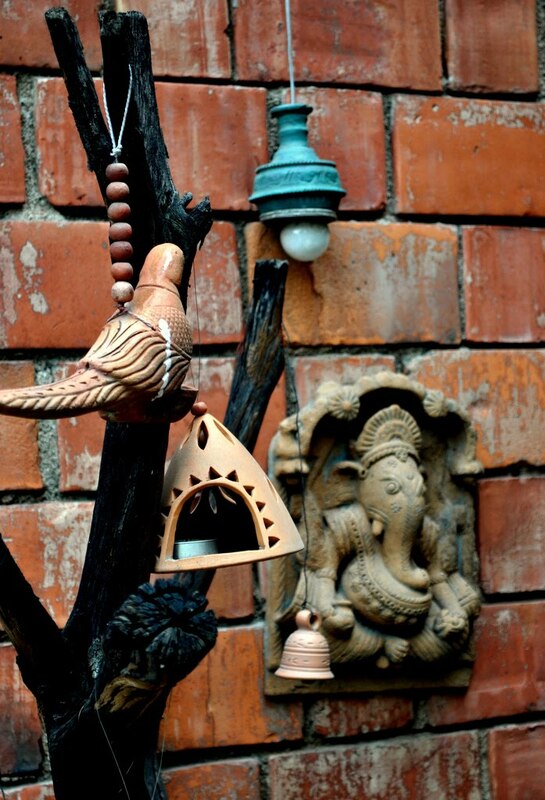 The Ganpatu with the bells and the bird is just so serene and pretty! Love it. That's eye to details! Aquatic colors are really beautiful! Your garden is so amazing!